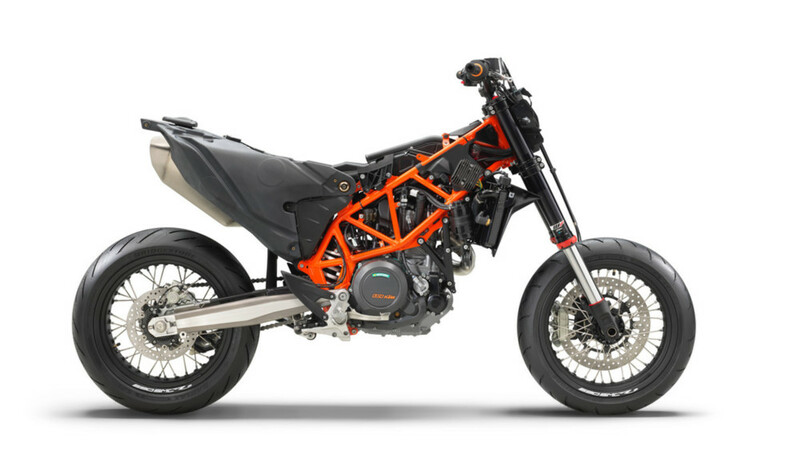 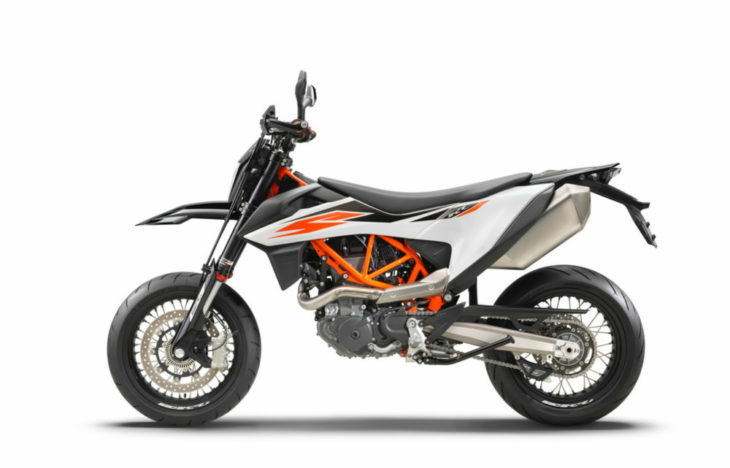 We love supermotos here at Cycle News, so the news KTM would be bringing back the 690 SMC R is the sweetest of music to our ears. 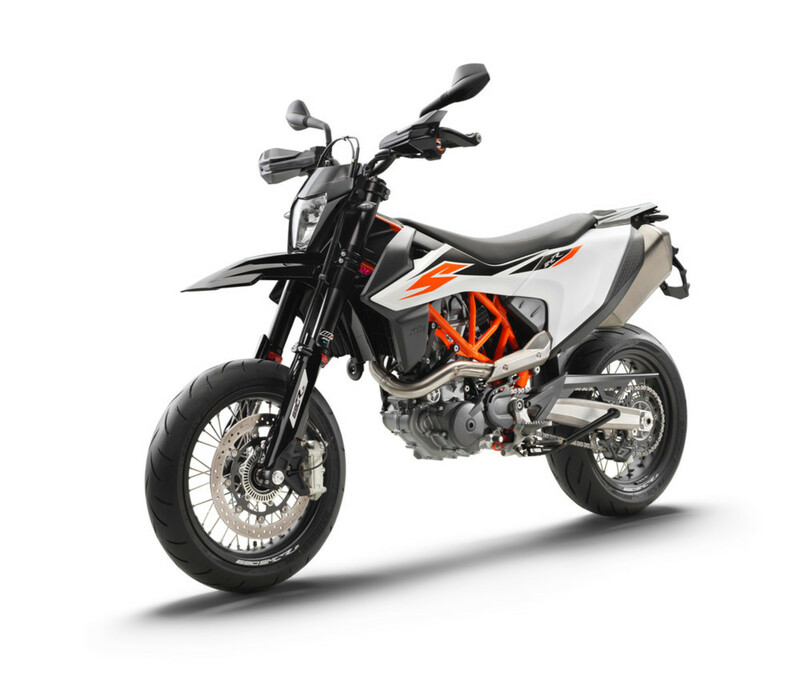 Using the latest 690cc LC4 single-cylinder four-stroke with 74 hp on tap wrapped in a steel trellis chassis with fully-adjustable WP APEX suspension, the 690 SMC R goes up against its cousin in the Husqvarna 701 Supermoto as the only true big bore supermoto on the market. 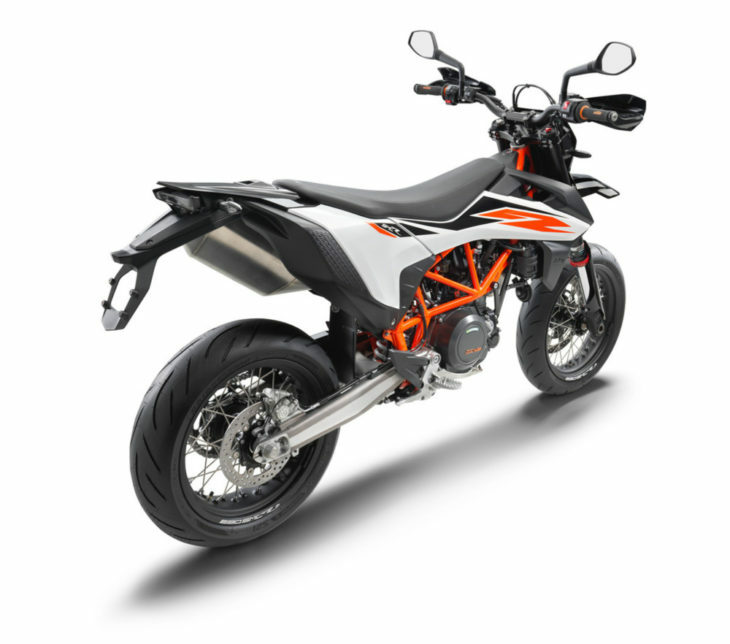 As such, you also traction control, ABS with Supermoto Mode (of course) and two rider modes in Sport and Street, and an upshift-only quick shifter. Brembo takes care of the brakes with a single 320mm disc and four-piston caliper up front and 240mm disc/single-piston caliper out back, and WP supplies fully adjustable suspension. 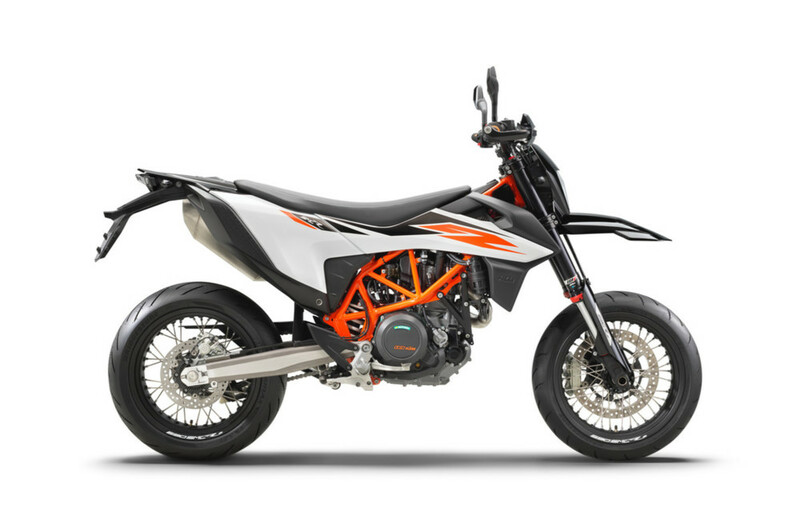 Pricing and availability were not forthcoming from KTM as we posted this article. 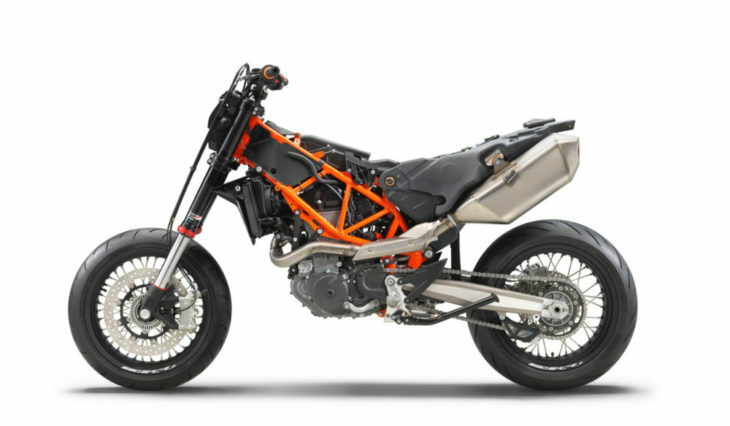 NEW Dynamic LC4 single-cylinder engine with less vibration and more power featuring electronic fuel injection, Ride-by-Wire technology, a balancer shaft, PASC slipper clutch, and 6-speed gearbox. NEW styling for a more aggressive look and enhanced ergonomics. NEW chassis with a low seat of 35 in for optimized rider feel and control. 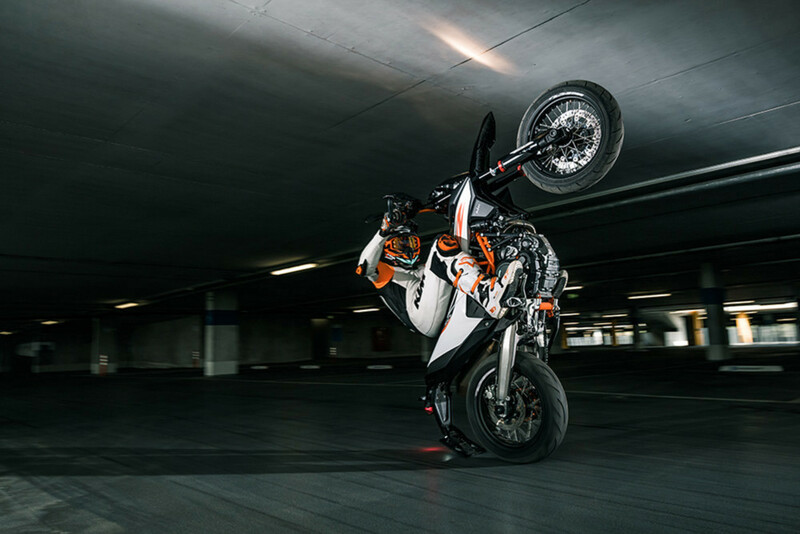 Fully-adjustable WP APEX suspension with separate damping circuits for aggressive and confident handling on the street or track. Stainless steel exhaust with a catalytic converter. 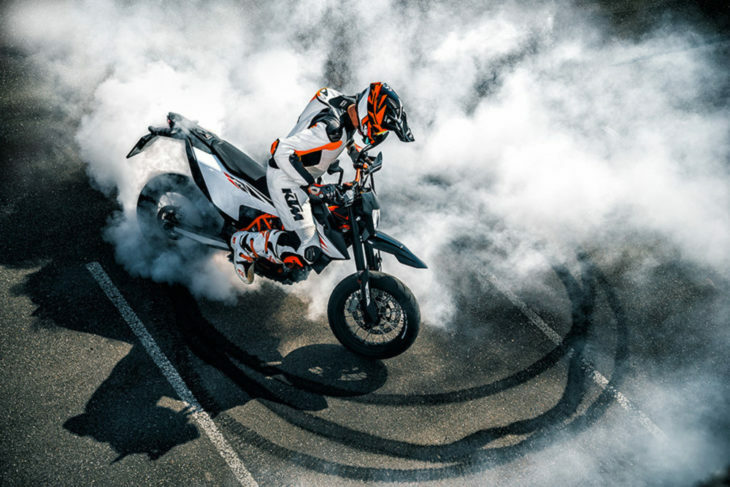 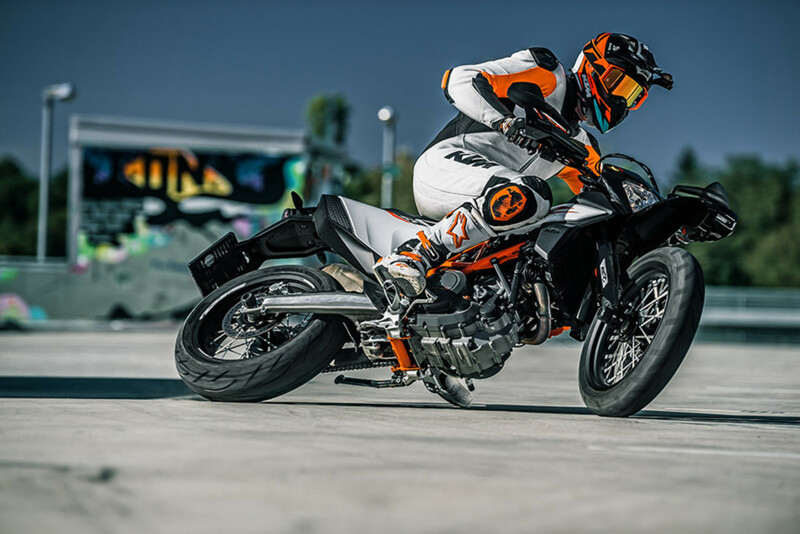 Technology-leading cornering ABS with Supermoto mode for hard braking under all circumstances and the Quickshifter+ for smooth clutchless shifting. 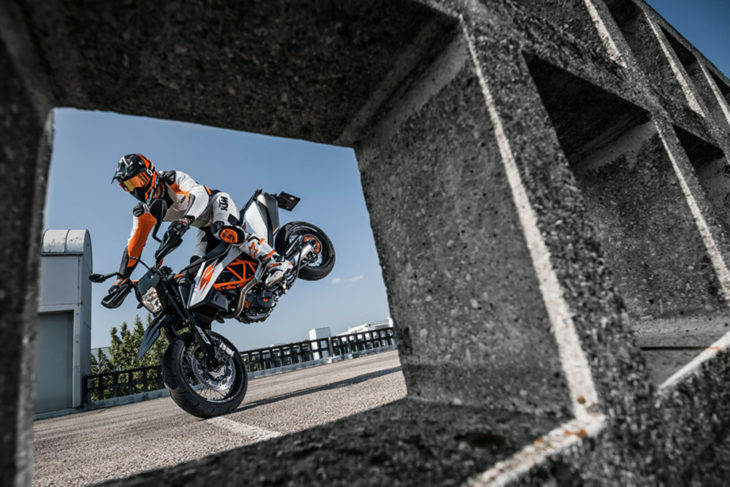 Motorcycle Traction Control (MTC) with Sport and Street ride modes can be switched directly from the handlebars for controlled power delivery.